Funkelglück ! : Let's have a Party....and a Giveaway..
Because this beautiful idea comes from over the ocean, I'll take the risk now to hurt your eyes with my "rusted" english. Wonderful Vicki from 2Bags Full -( she's doing so extraordinary things- I follow her since the first "nest"-I think it was about 2 years ago- and I still remember how surprised she was, that everybody loved it, haha)- she had this gorgeous idea of a blog party, to visit each other, grow our blogs, be worldwide, simply connect. Well, I'm in :-) Here's the list af all Partyguests ! Here's mine: An Angelfairy....some people say it's an angel, some say a fairy- so I put them together :-) The one on the picture is just an example-if you like you can choose the colour you'd like to have. So just leave a comment-until the 31. of january. Winner will be announced on 3. of February....You don't have to be a part of the Grow your blog Party- everbody is welcome! If you don't have a blog- please leave your email ad. I am visiting from the Grow Your Blog party. What a wonderful giveaway. I hope you will stop for a visit. I love your beautiful felted dolls, they are just so precious! congrats on picking up blogging again. I hope this gets you into a regular routine. Happy Grow your Blog Party!! Greetings from across the ocean! So nice to meet you. Thank you for the chance to win the little, fairy angel. It's so nice to meet you! My family came from Germany many generations ago. The name is 'Smeltser'. Do you know anyone with that name? I think your fairy angel is so sweet! Your angelfairy is beautiful. Thank you for sharing, and lovely to meet you. Hello and nice to meet you Eusebia. Your "rusted" english did not hurt my eyes at all. As a matter of fact you write beautifully. I am so excited to meet someone from Germany. My husbands people grandfather) was from Germany. We hope to some day soon get to travel to your country. Hey! I'm on the GYB trail and it's so cool to meet you. I'm blogging from Canada and Germany is on my wishlist of places to go to. Thank you for sharing! Hallo Eusebia! 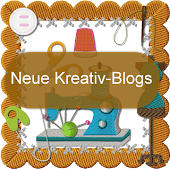 Toll das ich Dein Blog durch GYB gefunden habe. Deine Fairy's sind wunderschoen!!! Gruesse und ein schoenes Wochenende! Like your style. Hope we become friends and blog allot together. Love the angel. White is a lovely color. Thanks for stopping by my blog and leaving a lovely comment so I could find you over here at your blogsite. Your angelfairy is just adorable. Hallo, bei Dir muss ich mich herzlich bedanken, denn durch Dein Blog bin ich auf diese tolle Party gestoßen. Es ist einfach toll. Ich weiß nur noch nicht, wann ich das alles durchklicken soll. Aber ich werde mein Bestes geben. Deine Engel sind übrigens eine Augenweide, und ich freue mich schon auf Deinen nächsten Post. Thank you for visiting. Love your angelfairy. Please enter me in your giveaway. Lovely. Angel fairy is adorable. I came to your blog via Vicki's blog party. Come over to my blog for a chance at the vintage lace book give away. See you there! Beautiful blog and beautiful photos! So nice to meet you. I'm a new follower. I used translator to read more of your blog. Your angel fairy is so cute. I found you through Vicki's GYB. I have enjoyed visiting your blog. Hello Eusebia - I am here from 2 Bags Full. In March I will be 55! I watched the laughing video and it was very contagious! Your angel fairy is very precious. Please enter me into your giveaway. Welcome back to blogging. I take breaks from blogging but I always come back. I am visiting from the northern Unites States in Washington State. My heritage is mainly German and my maiden name is Hattenburg. My brother has been to Hattenburg germany. I never have been but would love to some day. Your blog is great and your dolls nad fairy are so adorable. I need to use translator to read your blog successfully. Come and visit me at my blog and join in my giveaway. I enjoyed looking through your blog and your beautiful pictures. The bookmarks you made are very cute and I think I will have to try to make some. Hi!!! !Lovely blog! Can't wait to check it ALL OUT!Enjoy the GYB party!Your giveaway is just lovely!! Hi Eusebia, Thanks for stopping by my blog earlier today; I enjoyed "meeting" you and reading your comment! I liked reading your post here and look forward to getting to know you better. 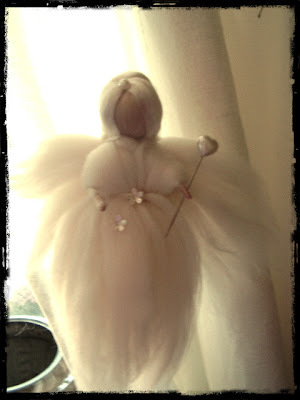 The angel fairy is lovely - did you make her? Guten Morgen –- and that's about the extent of my German! Your English is MUCH better than my German, so thank-you so much for catering to us monolinguals. As a child I begged my maternal grandma to teach me Swedish (both grandfathers were - and spoke - German), but she didn't take me seriously. Thank-you so much for visiting Boulderneigh, and I love YOUR prize as well! Guten morgen! Wow, I can't wait to read your blog more often to learn German!! Isn't the web an amazing place?? Your angel creation is beautiful! 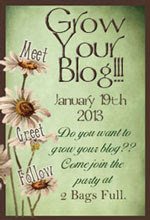 Hello, I am so glad to meet you through the Grow Your Blog Party! You have a lovely blog. Your photo is amazing. I love how you did it. And your angel/fairy is so sweet! Hello, thank you for following my blog I now follow your blog. I like the angelfairy, very pretty. Your English is pretty good. I have come here from the Grow Your Blog Party, love your little fairy! Love your little angel fairy. I love the name of your blog and wonder what the English translation of the word might be. I'm here from the GYB party! Your photos are lovely! I would love the opportunity to win your little angel fairy. Have a wonderful week! Nice to meet you! I would love a chance to win one of little angel fairies...how precious! Happy to find your blog through the GYB hop! I love your sweet angelfairy! She would be most welcome at my house! Thanks for the chance to win! It's so fun finding all these wonderful and creative blogs along the hop!